MWC 2016 is set to begin in just two days, and Alcatel has now officially unveiled its two new flagships: the OneTouch Idol 4 and the OneTouch Idol 4S. Both phones show off the best Alcatel has to offer — with their premium build and latest generation specs — but one of the more unexpected features of the new OneTouch Idols may actually be the packaging of the phones. 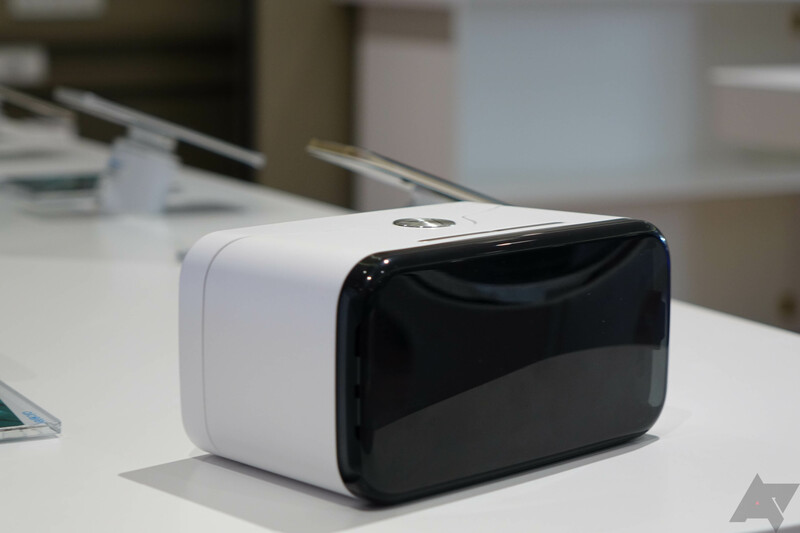 This might not be entirely new to most of our readers, but the box in which both the Idol 4 and Idol 4S come in doubles as a virtual reality headset. During our hands-on time with both phones, we also had the chance to play around with the VR viewer: it's a lot like Google Cardboard but, well, without the cardboard part. Instead of dead trees, this headset is made of plastic, which gives it a much sturdier feel. The side that rests on your face is lined with a thin foam padding around the perimeter to make it more comfortable to wear, and the rear has two clips that lock the Alcatel phone snugly in place. There's also a semi-transparent rear cover that can be placed over the phone as a second level of protection against drops, though you'd have to be jerking your head around pretty aggressively to even begin to dislodge your phone from the clips. 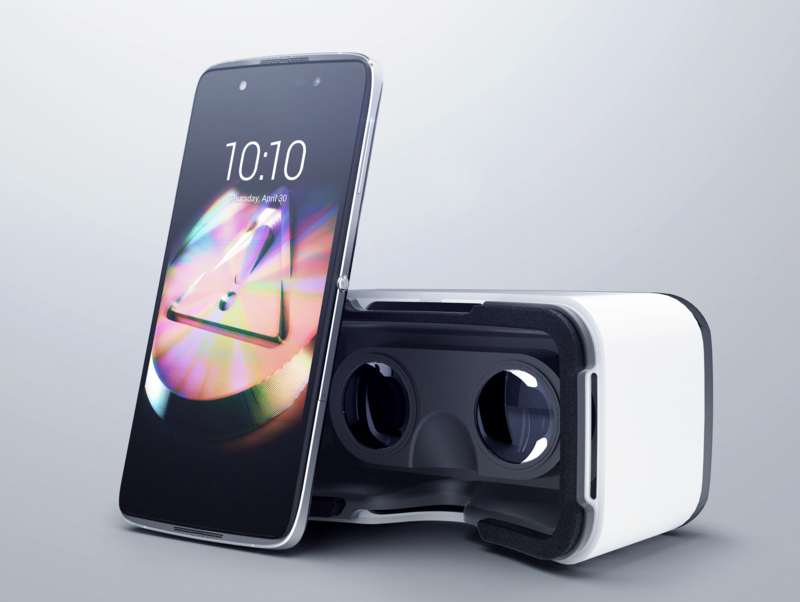 Both the Idol 4 and the Idol 4S come with a VR store app and a VR demo app. The store app didn't seem to be working on the prepreduction phones we tested, but the demos were very entertaining. As soon as you insert the phone into the viewer, you're presented with some instructions and the usual warnings (apparently you're not supposed to drive while using this thing, or something), followed by a handful of 360° games, photos, and videos to try out. You move your head around to pan over each icon, and use the two capacitive buttons situated under the headset to select the one you want or go back to the previous menu. Since there's nothing particularly fancy or proprietary about Alcatel's VR headset, every Google Cardboard app already out there won't have any problem running on this viewer either. 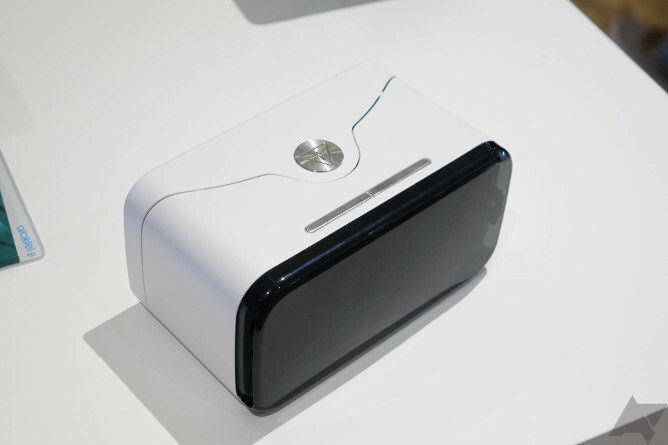 Sure, you probably won't get the same hipster cred that you get from some other VR headsets, but it's definitely a nice bonus for Idol 4 and 4S owners, and it has the added benefit of reducing the amount of waste in packaging that would otherwise likely have gone into a landfill somewhere.